Bullying is a widespread problem that affects thousands of teens across the United States and around the world. Victims of bullying battle depression, anxiety, insecurity, and fear. Sadly, some victims internalize their frustration by harming themselves or become bullies as well. But if young people agree that bullying is so devastating, why does it continue? Most importantly, how can it be stopped? Mathangi Subramanian, EdD, is a writer and educator. She has been a classroom teacher, an assistant vice president at Sesame Workshop, and a senior policy analyst at the New York City Council. With almost half of all teens reporting that they have been bullied, and almost half reporting that they have been a bully themselves, there are few teenage issues more pertinent to address. After introducing such bullying basics as passive and active bullying, violence, power, and identity, this entry in the It Happened to Me series dedicates individual chapters to bullies, victims, and witnesses and explores what influences each group’s involvement in bullying. Subramanian then focuses on the various types—bias based bullying (targeting victims because of their ethnicity, race, gender, sexual orientation, religion, etc. ), cyberbullying, sexual harassment, dating violence, and even adult bullying of students and children—and how each can be identified and prevented. The final chapters discuss how individuals can try to end bullying through actions and laws. Real-life profiles bring immediacy to the topic, while questionnaires, related literature, and lists of resources provide further connections. An approachable style makes this guide accessible for both research and personal needs. Well-voiced and supported with credible incidents, Subramanian’s guide speaks to the source and elimination of abusive situations. The text covers the subject objectively and calmly. Even advice on adult violators notes that predatory grownups assail youths out of anger, fear, and insecurity. Pictures enhance focal concepts, as with the handshake that illustrates allies on p. 197. Advice on texting reminds the reader that caution protects both sender and receiver. Analysis of complex concepts, particularly the passive bystander, relies on straightforward diction to account for failure to intervene to protect or rescue a victim. The author limits recommended readings to recent sources. The glossary amplifies definitions, explaining such hopeful social mechanisms as restorative justice and lever of change. This work should aid the parent, teacher, librarian, and school counselor as well as the vulnerable teen. Featuring a diverse collection of teen voices, this book is designed to help teens take immediate action both individually and collectively. The advice and exercises will not only help teens think critically about bullying but will also empower them to change both themselves and the circumstances that foster abuse in their schools and communities. 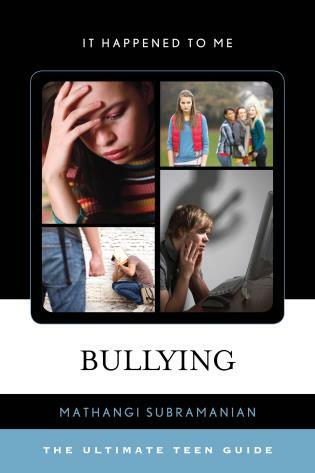 Bullying: The Ultimate Teen Guide is a much-needed resource to help stem the tide of this social epidemic.